For years now, supply chains have been a key driver of business. 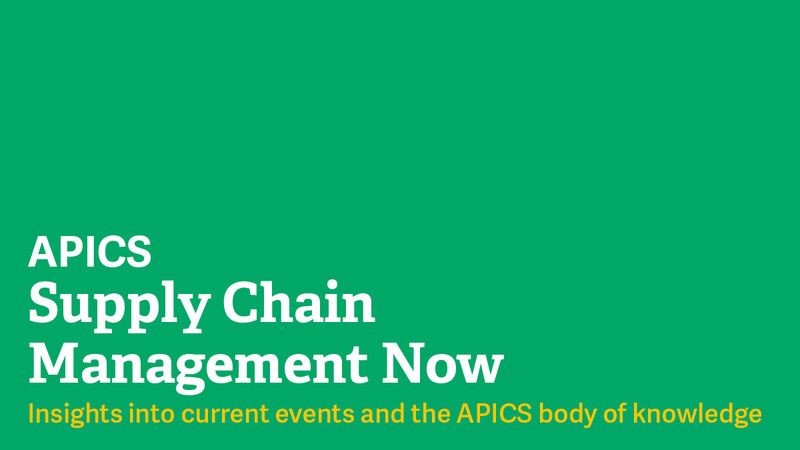 Supply chain managers have helped ensure that companies have the supplies and inventory they need, that their production is on schedule, and that they can meet the demands of their customers. As businesses have become more global, supply chains have taken on more complex responsibilities. This shift, coupled with the adoption of the latest communication and planning technologies, have converted once-linear business models into digital supply networks (DSNs). These networks empower companies to more effectively communicate with various members of their supply chains and have become a strategic differentiator for companies. However, a recent study from Deloitte shows that companies are failing to take advantage of this potential. Executives from a variety of industries agree that it is important to invest in digital supply chains. Deloitte asked 361 executives what functions they are prioritizing for future digital investment, and supply chain was far and away the top answer. More than 62 percent of respondents ranked supply chain as their top priority, ahead of planning, product design and smart factories. This amount was even higher for C-suite executive respondents. In addition, about two-thirds of respondents currently have digital supply chain transformations underway. However, fewer companies view supply chains as drivers of digital innovation. Respondents ranked supply chain in the middle of the pack among functions that currently are driving digital innovation, behind information technology, operations, and production and finance. When the results were filtered to consider only the respondents who listed supply chain as a top digital investment priority, still only 38 percent of respondents listed supply chain as a top digital innovation driver, compared with 34 percent of the entire respondent pool. Another missed opportunity happens when companies neglect to include supply chain leaders in strategic company decisions. Although more and more companies have added chief supply chain officers (CSCOs) or some equivalent to their C-suites, only 22 percent of Deloitte respondents ranked the CSCO as a key decision-maker or as an executive who is highly involved in the decision-making process. This placed CSCOs lower than any other C-suite officer and in a comparable position with non-executive leaders of a given business area. In addition, none of the 15 CSCOs included in the study described themselves as a highly involved or key decision-maker. The authors note that these two paradoxes likely exist because the CSCO is a newer member of the C-suite and the supply chain is a relatively new strategic asset. Plus, some business leaders may think that these newer pieces cannot contribute to the bottom line as effectively as more established functions. For some companies to be able to take advantage of supply chain’s potential, they will need a transformation in organizational design, which the APICS Dictionary defines as, “the creation of an organizational structure to support the strategic business plans and goals of an enterprise.” Adjustments to elevate the importance of supply chain within the organizational design can help companies truly unlock this area’s potential. As ASCM, our traditional resources, such as SCOR, are being updated to digital standards. This is one aspect of how ASCM will provide an unbiased voice to advise companies on their digital maturity. In addition, we are working with experts across industries to explore how digital benefits can improve supply chains. “This an exciting time in supply chain,” says Scott Ehrsam, CSCP, member of the APICS Board of Directors and the APICS Digital Taskforce. “As a not-for-profit, ASCM is uniquely positioned to establish a leadership voice for digital supply chain.” To learn more about ASCM and its variety of resources for business, visit ascm.org.